One week out, and I feel pretty good. I’m still taking things easy though because I want to make sure everything heals up nicely both outside and in. It is getting easier to get up from sitting and laying down. It is also getting easier to get in and out of my husband’s car. I’m still using the binder though because it holds everything in and keeps stuff from jiggling too much, which is uncomfortable at best. I’m hoping I can ditch the binder soon. Speaking of husbands, I’m pretty sure I have the best one ever. He has been patient and kind with me this past week, helping me shoot myself up with Lovenox, bringing me protein drinks, helping me put on my abdominal binder, comforting me when I’m in pain, making sure I don’t slip and fall getting into and out of the shower, doing laundry and chores that I can’t really do right now. I don’t know what I did to deserve such an awesome guy but I am thankful that he is mine! I noticed that when I was getting ready to take a shower this morning that I am losing like a snowman melts–from the top down and the bottom up. I can see definition in my shoulders again. My deltoids really are there! I can see my shins starting to be unearthed! This makes me happy. I have a bit more energy than I’ve had in a few days. This is good because I can do a bit more around the house. I discovered that my sleeve tolerates spicy things with no problem. This makes me super happy, as I love me some spicy food. 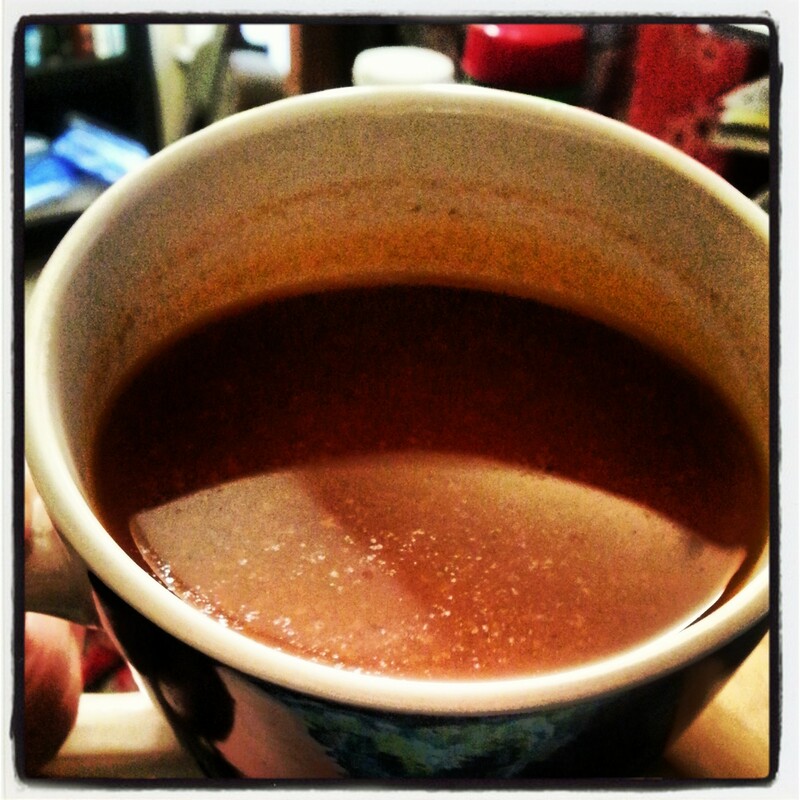 I bought some chicken tortilla soup from the grocery store, brought it home and strained it of the chicken and veggies and was left with an awesome spicy tomato-y, peppery broth that I sipped on for lunch. YUM. This is what happens when you strain the chicken tortilla soup at Central Market and don’t add chips and cheese: tomato-y, peppery deliciousness. I have decided to employ a new habit. 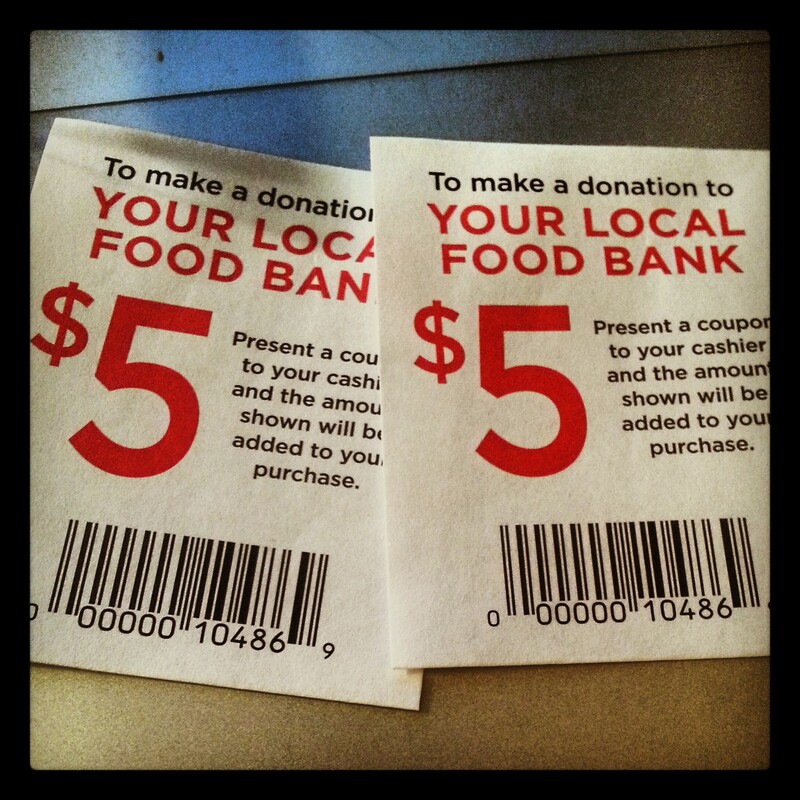 While at the grocery store today, I noticed that the checkout had some coupons with barcodes that would allow you to make a donation to a local food bank by simply adding the donation to your total grocery bill. I decided that since I will not be eating nearly as much as I did before, that I would make this a monthly habit. This will allow someone else who cannot otherwise afford to have a good meal to have one that is hopefully healthy. That someone could be a family with children, or an elderly person or a single person working a minimum wage job. Regardless of who it is, no one should go hungry in a country where food is in abundance and it is shameful that we allow it to happen. So I decided that I would give up a little of what I would normally spend on groceries for me and my husband to make sure that someone else could eat too. This entry was posted in reflections and tagged being thankful, habits, oh behave!, sleeve gastrectomy, the little things, VSG, WLS. Bookmark the permalink.